Who can resist the juicy, sweet, bright fruit of a strawberry? They are easy and rewarding to grow and will do well amongst other shrubs in a garden bed or in a pot. If you decided to plant your Strawberries in a garden bed, just ensure they are planted in slightly raised mounds to help with drainage. 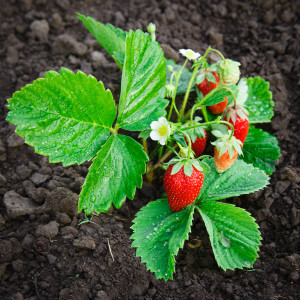 Strawberries thrive in a well-drained, rich soil and are best in the full sun. The fruit can be harvested from spring to summer.